What an inspiring week! I am beyond grateful for the encouraging and exciting atmosphere of the 2nd annual Teachers Pay Teachers conference. 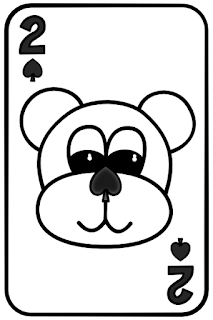 I came away with some great advice and ideas for how to improve my clip art and my TpT store. The main points from the workshops I attended were: 1) the importance of treating a TpT store like a job, not a hobby, 2) be a person, not a salesman, when interacting with customers and 3) find a niche and stick to it. I've been very casual with the creation of my sets, putting time into them only when I felt the urge, and creating things based on whims, rather than clear plans. The wonderful conference, and the discovery that my clipart was used in a recent TpT blog post, have inspired me to change the way I think about Silly Pillies. If I put in the effort, exciting things will happen! 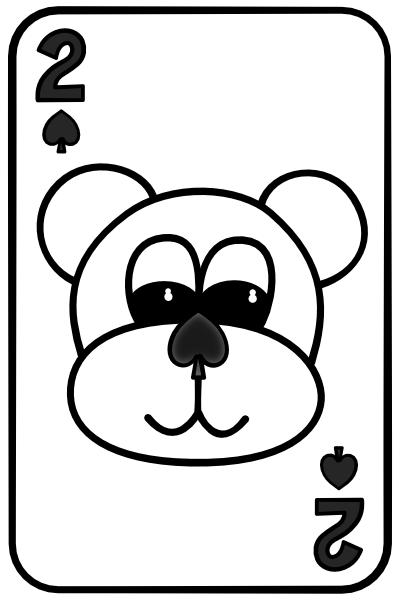 On that note, here is a (raw) taste of the next set: Teddy Bear Playing Cards!